It’s important to involve HR in your digital transformation plans so they’re on board with requirements that are likely to come their way in terms of resource and up-skilling. One thing we see often is the misunderstanding of what skills you need and that alignment with what’s insourced and outsourced as part of any transformation, since that will have an impact on the type of knowledge and capability you’ll need, either specialist (deep) or generalist (broad). One of the 35 roundtables at Digital Cream this year was on the topic of Digital Transformation: Getting the right mix of Skills, Culture & Technology. Marketers are seeing their organisations undergoing massive transformation from the impact of digital. Businesses, through marketing and brand departments, no longer have to find a reason to do something digital. This is a change defined by consumer appetite for engagement, with each other as well as with brands and businesses, in ways that suit their needs at that very moment. Engagement is now characterised by speed, through the use of technology that’s increasingly a part of consumers’ lives. In this post, I’ll look at how agencies need to adapt and evolve in order to help their clients transform their businesses. 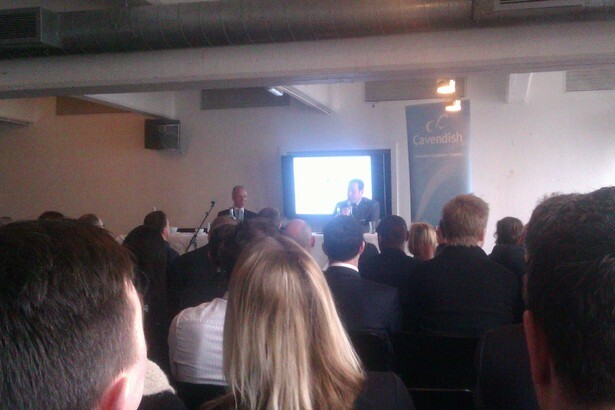 Last week in Shoreditch, the corporate finance firm Cavendish hosted keynote speaker the Rt Hon Ed Vaizey MP, Minister for Culture, as well as leading digital business representatives to explain why the UK is an even more attractive hub for the media, tech and creative industries thanks to digital transformation. Among those present, in addition to Ed Vaizey, were Saul Klein from Index Ventures and LoveFilm, DJ Collins, Head of Communications, Google Europe and Ben Southworth, Deputy CEO, Tech City Trade and Investment.